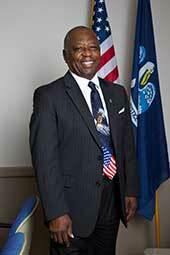 On July 11, 2015, at the age of 68, Louis Joseph enshrined the memory of a slain soldier from Tangipahoa Parish. Determined to recognize the young man’s ultimate sacrifice for his country, Louis convinced local officials to rename a street for this honor. Presiding over the dedication of Chris Drake Drive in Tickfaw, Louis and distinguished attendees from across the nation paid tribute to the young man killed in action while on duty in Afghanistan. As a Vietnam veteran and 34-year officer in the Louisiana National Guard, Louis believes that Americans bear a responsibility to recognize the contribution of all service members, especially those who gave their lives for our country. A resident of Tangipahoa Parish for 45 years, Louis didn’t hesitate when he heard about the soldier’s death; within days his recommendation was presented and approved, and plans were laid for the dedication ceremony. Accountable is probably the best way to describe Louis in a single word. His years of life experience have demonstrated the value of being responsible and making things happen through his own initiative. Louis not only accepts that he had to work hard for all he has achieved—he is grateful to have discovered the power that comes with earning things on your own. Consider that during his service with the National Guard he simultaneously worked his way up the public school system ladder, from teacher to principal, supervisor to assistant superintendent, and finally to superintendent of Tangipahoa Parish Public Schools—all while directing the National Guard Youth Challenge Program in Carville and representing his district on the Tangipahoa Parish Council. For Louis, life experience has proven that the labor of “earning” can bring great rewards, including an understanding of interpersonal relationships and the knowledge to motivate others. He continues to earn the trust, respect and admiration of his fellow Americans. Louis Joseph … Peoples Health Champion.